In a roundtable interview published on Tuesday, Variety assembled a team of six trans actors to discuss representation and its impact, casting opportunities, discrimination in their industry, and more. 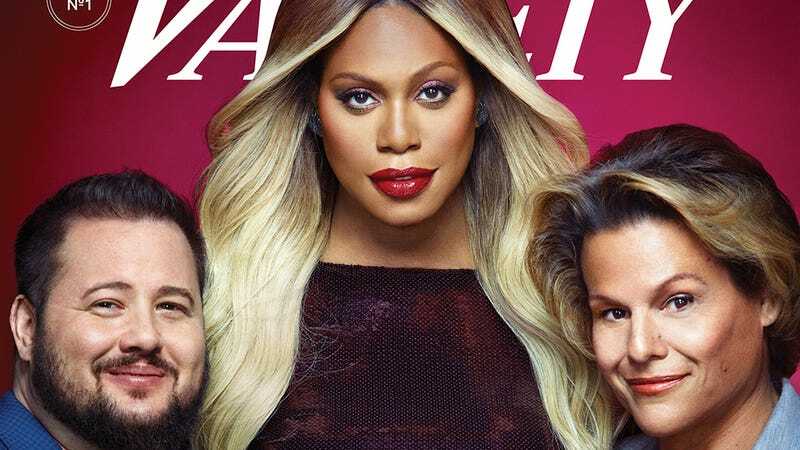 Variety’s Ramin Setoodeh begins by asking the actors—Laverne Cox (Orange Is the New Black, Doubt), Alexandra Billings (Transparent), Trace Lysette (Transparent), Jen Richards (Her Story, Nashville), Brian Michael (Queen Sugar), and Chaz Bono (American Horror Story)—whether they think Pose, the Ryan Murphy-produced ballroom drama written by Janet Mock and Our Lady J among others, signifies a new “tipping point” for trans people in Hollywood, a reference to the “transgender tipping point” Time magazine declared back in 2014. It makes you wonder why media outlets only seem to ask these questions of trans actors and not casting directors, producers, and other industry heavyweights with the power to make lasting, institutional change.